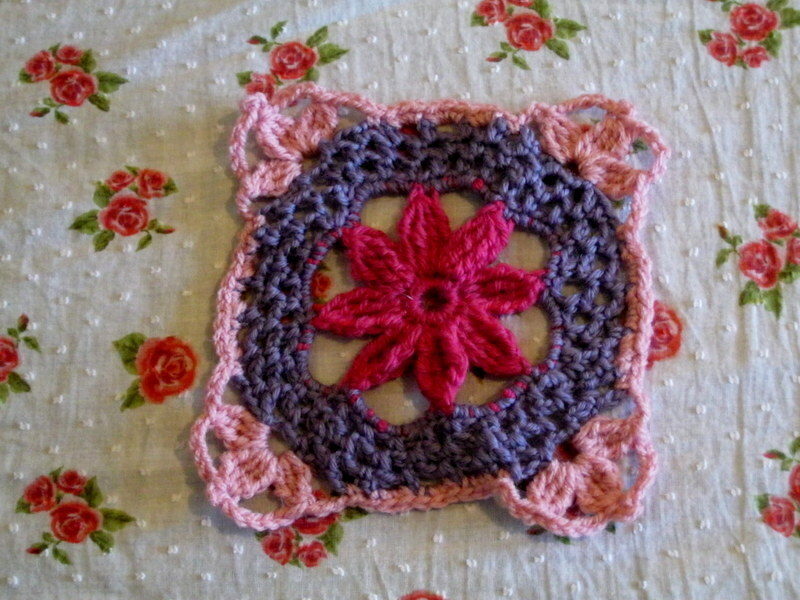 My first Square of 2014! Now I had decided that as last year wasn’t the most fun year for me, this year I would try and remember things I’ve enjoyed in the week, or can be thankful for, while I’m making my square. Well this week; week one; was a challenge, I can tell you. Poor Little Miss has had a chest infection and has cut her first tooth, all over New Years. So I was sat this week, trying to do my square, after having very little sleep, really to be honest, because I’d decided to commit to this blanket and I’m stubborn. I find that when things seem over whelming it’s good to take a step back and this reminded me to do that. I laugh at myself sometimes because we’ve had a wonderful time with family and friends over the last few weeks but as soon as things get a tiny bit difficult, suddenly the world is ending (yes I am that dramatic!). This square reminds me of all the special moments we’ve had and looks forward to the coming year the memories that will be made. Happy New Year (well almost)! Lovely Squre Beth – so colourful & varied! Are you going to make all your squares the same?